I knew this would happen…..It seems Britons are not down with the idea that Prince Harry is in a relationship with the star of Suits. Reasons;she is black, older and divorced. But social worker Ragland might now find herself welcoming a royal guest to downtrodden Crenshaw after Prince Harry was revealed to be dating her daughter – Suits actress Meghan Markle. Markle, 35, is now based in Toronto, Canada, but her mother remains in LA and moved to her modest green-painted home five years ago after the death of her own father, Alvin, in 2011.
detached home in central Los Angeles, while her rumored royal boyfriend spent much of his childhood between Kensington Palace and Prince Charles’ Gloucestershire mansion, Highgrove. But Harry’s literally palatial homes couldn’t be more different from the tatty one-storey homes that dominate much of Crenshaw. And while there have been a total of 21 crimes in the immediate area around Highgrove over the past 12 months, 47 have taken place in Crenshaw in the last week alone – including murder and robbery. The British press have a different approach. They have made it clear that her relationship with Harry is scandalous, for a number of reasons: she is divorced; she is older (Markle is 35, Harry 32); she’s played raunchy scenes in the US TV series Suits – and her mother is visibly black, with dreadlocks. These details would be unremarkable – irrelevant, inappropriate, even – were it any other celebrity romance. 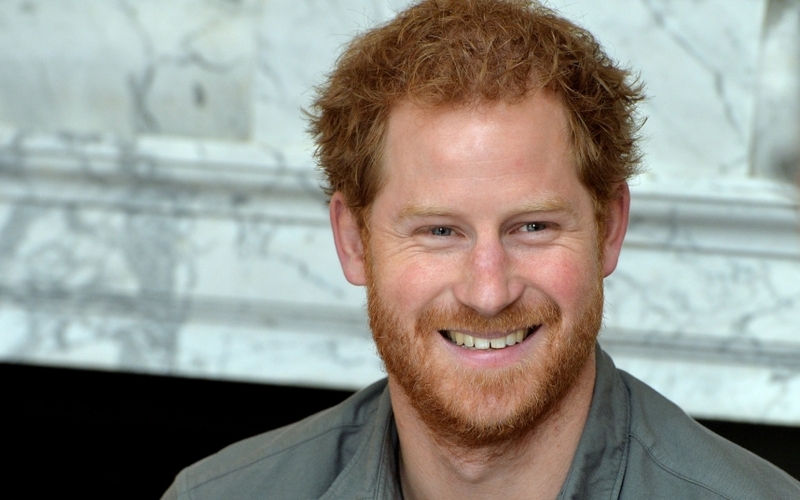 But Prince Harry, fifth in line to the British throne, is a different matter. The very concept of the royal family is the antithesis of diversity. The terminology says it all: “blue blood”, from the Spanish sagre azul, coined in the late 1500s to distinguish between the racially superior white Christian nobility (with pale skin revealing blue veins) and the Jews, Muslims and West Africans whom Europeans were increasingly ousting from their continent. In spite of its roots, we are apparently still perfectly comfortable using the phrase, even though royal blood has probably been mixed for centuries. There have been Africans throughout Europe since at least Roman times, and marriages between European royals, with their fondness for black servants, slaves and extramarital reproduction, make it unsurprising that Queen Charlotte, wife of George III – described, in an era when slaves were omnipresent, as “ugly”, with a dark complexion and flared nostrils – may well have had some African heritage. So might Queen Philippa, wife of Edward III, described as having broad nostrils and a wide mouth, and as being “brown of skin all over”. Like I said earlier, I expected them to be hard on her, come on, the British press is known to rip even their own without mercy *lol*. Even the 'Royals' are not spared, but this is just not cool. I thought the world has moved past all these mundane issues.